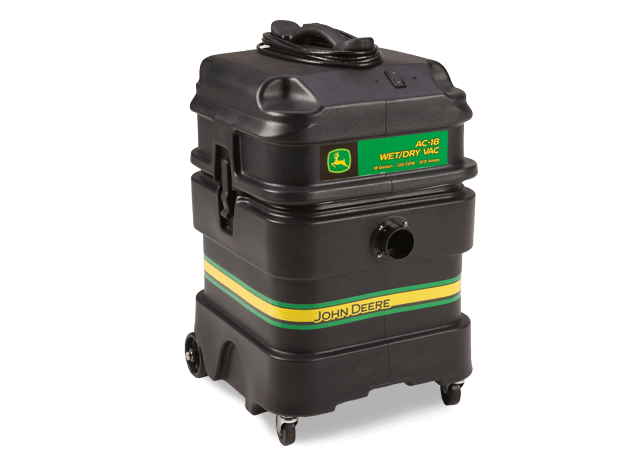 The John Deere series wet/dry vacuums are truly the best in their class. Designed for industrial and commercial applications, these vacs will withstand the roughest environment and applications. Rated as one of the quietest wet/dry vacs on the market, the low noise level of the John Deere vacs is very impressive. Constructed with high impact polyurethane canister and power head, these vacs are virtually indestructible.